I know the title of this post is a mouthful, but I am insisting on the title. Simply because today I came across another round of bashing by individuals on Islamic Banking. Again, the contention is that Islamic Banking is no different from conventional banking; worse still it is claimed that Islamic Banking is more detrimental than conventional banking. How can this be? I watched the video and aghast by the level of ignorance to the nature of Islamic Banking. And gauging from the response by the rest of the audience, it seems that the audience themselves knows no better. It seems that a lot of individuals are still unconvinced about Islamic Banking. Furthermore, the impression that it is worst-off than conventional banking needs to be addressed. Islamic Banking, while on the surface is still banking, but it is built on a totally different foundation. There are significant difference which is brought about by a single requirement; Shariah-compliance. 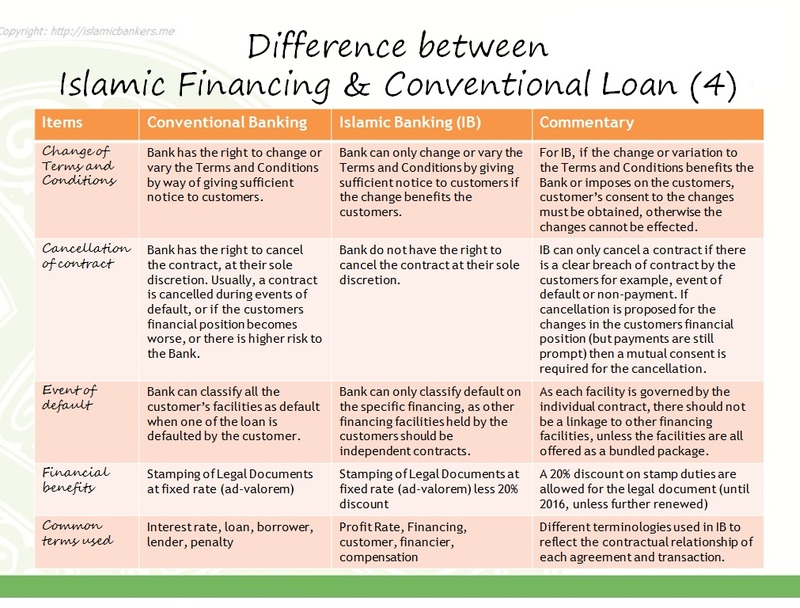 The basic difference between Islamic Banking and conventional banking is the structure of how the Bank is set up. For a conventional banking, the purpose of set up is to collect deposit and to give loans. This is the shareholders understanding of what it should be. 2 very distinct function ie Collect Deposit and Give Loans, and the arrangement is managed by a Treasury function which tries to balance the returns to shareholders’ funds. But what is Islamic Structure then? In essence, how an Islamic Bank is supposed to be set up is based on the theory of “Sources and Application of Funds”. There should be a single flow between the deposits and the financing / investment use of funds; this means there is no distinct function. It is a single function where customer deposits or investment pool is used to fund financing portfolio or deploy into investment instruments, from which returns are derived and recognise. Once the returns are determined, these returns are “shared” between the Bank and the customers (deposit/investment). This “Profit Loss Sharing” structure demands a different way of managing the Bank, although not all Islamic Banks are able to successfully pull this off 100% (especially when the Islamic Banks are still under the parentage of a conventional bank). 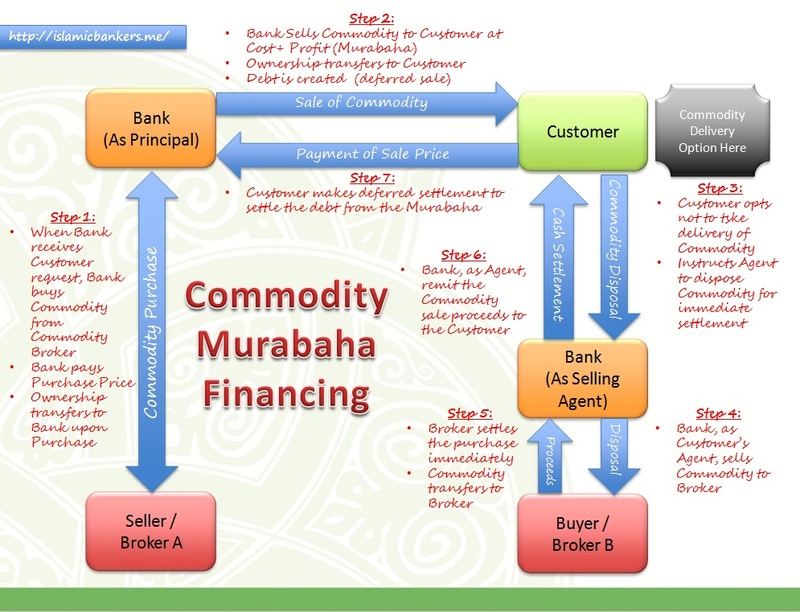 In my personal view, the structure of an Islamic Bank is most suited if it is built around the Mudharabah structure. It fits perfectly on how the Bank is to be managed. It should be the backbone of any Islamic Banks, where the set-up is linked end to end resulting in sharing of actual returns arising from a Shariah-compliant financing/investment activity. Finally, the processes in an Islamic Bank and conventional Bank are also different, simply due to the structure of which it has been set up. There is a broader requirement for oversight and research required to ensure the Islamic products and services meets Shariah requirements. A lot more layers to comply with, a lot more details needed. 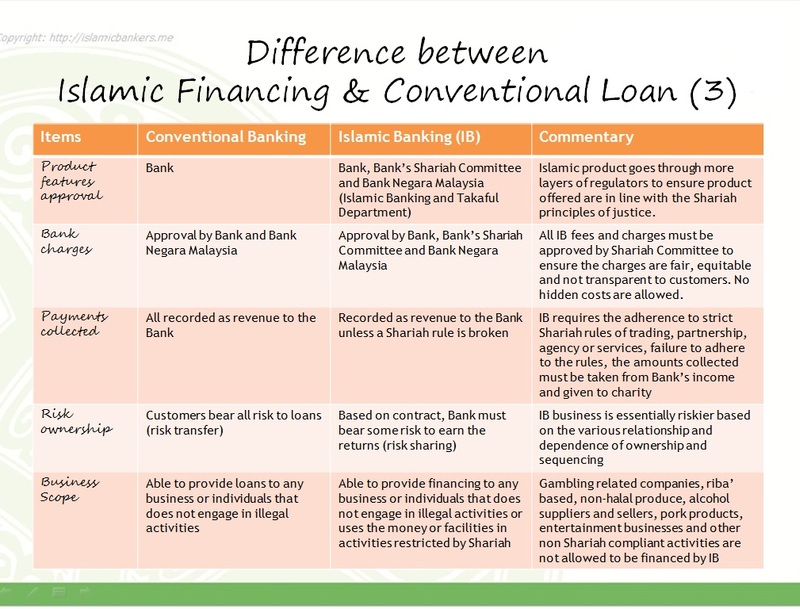 Shariah Committee is the most important difference between an Islamic Banking business and conventional Banks. It provides an oversight accountability in ensuring that all the operations of an Islamic Bank is consistent with the rules of Shariah. There is a huge layer of governance surrounding an Islamic Banking proposition. Whatever features that it offers, it goes through regulatory oversight by the Shariah Advisory Council of BNM, and stricter scrutiny by the Shariah Committee whom are not under the jurisdiction of the Bank but reports directly to the Board of Directors. The decisions (or “fatwa”) given by the Shariah Committee will be held solely by the committee themselves, therefore there is a huge responsibility for them. The Shariah Committee must ensure their decisions have taken into account all requirements of justice, customer protection, compliance to Sharia, interpretation to customary civil practices as well as practicality of implementation. In short, decisions must be clear, defensible and without any doubt to its validity. In Islamic Banking, matters really are determined by intentions. And the intention is to ensure the Maqasid (Objectives) of Shariah are met. These Objectives are a key consideration in setting up an Islamic Banking operation. But it does not mean the operation of Islamic Banking and the deployment of its funds are for charitable purposes. It is still a business that needs to be sustained by investing in Sharia-compliant economic activities, therefore it is misleading to assume Islamic Banking is a holistic endeavor that “should not charge interest” or merely to “provide assistance to the ummah”. There are costs for running an Islamic Banking business, and as far as possible it should be at par to the costs of running a conventional banking business. Returns on Shareholder capital is also important to ensure that capital is continued to be invested into Islamic Banking for it to grow. With growth comes the ability to continue supporting the ummah. The key word is sustainable banking. You cannot grow or even survive if you are not competitive. Designing and launching an Islamic product is not easy. The amount of work that needs to be done in relation to the fundamental difference between an Islamic Bank and conventional Bank. The fundamental difference is the totally different outlook on what happens after entering a contract. The contract between a customer and a conventional bank is simple; a loan where interest is charged upon over a period of time. But look at an Islamic contract. It is much more complex structure, but once determined, it really makes total sense. The contract defines the relationship, the relationship defines the responsibilities and subject matter, the subject matter defines the sequencing and ownership requirements for the use in an economic transaction, the transaction defines the rewards and returns on the completion of the contractual obligation. Cause and effect, risks and compensating return, action and rewards. What usually confounds practitioners (whom are not well versed in Islamic Banking contracts) are the level of detail. Some may consider the issues discussed in an Islamic Banking forum as “petty” but others expressed amazement in the level on consideration undertaken during discussions. For example, an Islamic Banking forum would discuss the nature of loan (Qard) and responsibilities of Qard, conditions of Qard, transferability of Qard, conclusion of a Qard Aqad (offer and acceptance), dissolution of Qard and implications of Qard when attached to other Islamic contract. This level of discussion is missing from the conventional banking space where in their view is that a loan is an amount given to customer where it is to be repaid back with interest. 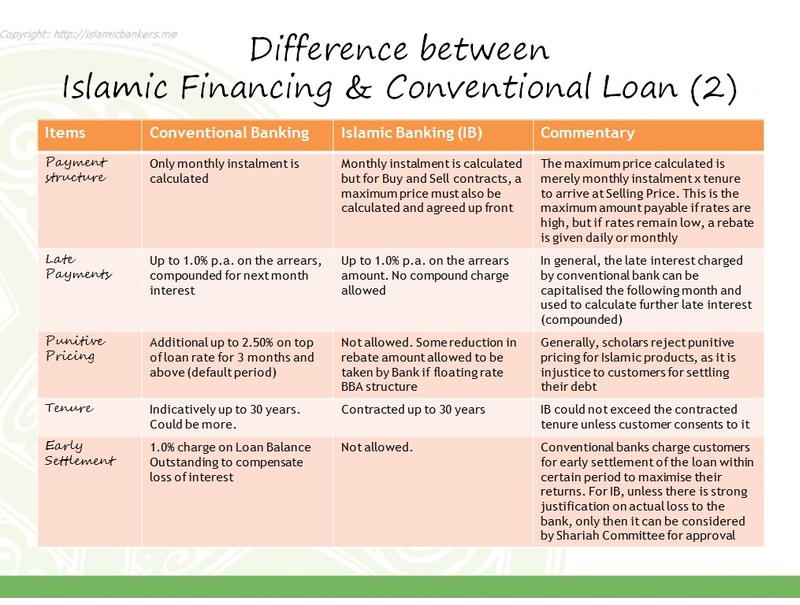 There really are differences between Islamic Banking and conventional banking, and there are some of us trying very hard to make a difference in the compulsion towards Riba’. As a summary, below are some quick differences I have compiled from my earlier days in the industry on the differences between the models. For me, the main difference between Islamic Banking and conventional banking is that the concept of justice to customer is not regulatory driven; it is conceptually driven by the idea of Islamic Banking itself. A lot of conventional banking practices are developed to maximize returns while minimizing risk, and risk-transference is a key consideration for conventional banks. Regulators have to be vigilant in ensuring conventional banking toe the line to protect customer’s interests. Islamic Banking, in its DNA is intended more than just being profitable. It is meant to be providing service to support the activities of the ummah (Muamalat) defined within Shariah-compliant transactions. There are specific rules that must be followed; breach of these rules means the penalties are non-negotiable i.e. whatever returns gained from these breaches must be given to charity. Care and consideration is a must. Justice and fairplay is always important in a decision by Shariah Committee. Release of customers burden is a priority. Many customers still lack knowledge of what Islamic Banking is all about. They collate biased and misleading information from truncated and unverified sources on the internet, facebook postings that intends to be malicious rather than presenting the true picture, and comments by individuals who make generalized comments on their experience which may well be isolated cases due to misinformation, misunderstanding or just plain ignorance to the fact. And yet these comments are sensationalized, made viral and deemed to be the absolute truth without further exploration or verification. Cut and paste seems to be the easy way forward. Yet people forget the discipline that is practiced by the companions of the Prophet; you must verify the information by determining it all the way to the source of the information, up to naming the individuals who made the first comments, and deciding whether the individuals are trustworthy and of good standing. This discipline is lost in this world of over-abundance of unverified information in the social media where direct accountability is undetermined, and it has become increasingly difficult to separate untruth from fact. I had always advised friends and critics alike to be careful of what they “recommend” when dealing with Islamic Banking due to the huge responsibility of such recommendations. If they are ready to criticise Islamic Banking as “same as conventional” or “open to back-door riba” without full understanding of what it really is, they should be ready to take responsibility for that. If their basis of stating as such is based on “viral whastsapp message” or “comments by third party islamic practitioners” or “explaination by insiders in the industry” or “commentary by blogs”, I do appreciate if we as practitioners can be provided with these “sources” for us to verify its accuracy. Many times I find the comments are based on partial information, taken out of context, outdated writings or information as well as just being malicious without proper basis or discussion. Some are not even Shariah related or relevant to Islamic Banking practices, just operational and processes defects. Do think of the implications: Should a person make such comments that “Don’t take Islamic Banking products because it is not really Islamic and there is a lot of trickery to it”, and the person listening to that comment thinks “Owh then there is no difference between Islamic product and conventional riba banks’ product” and proceeded to take Riba-based loan products, the implication is that the person who made the comment had directly influenced another person, in my view, in making a wrong and sinful decision. Will that person be responsible for this act of “pushing another Muslim into taking Riba products”? It is a heavy burden to take, not just immediate but in the hereafter. So be careful when a person makes that comment. And to imagine what will happen when the person who took the Riba product commented to another person (and another) that someone commented that “there is no difference between Islamic Banking and Riba Banking…” . It will become a tree with a massive root, grown by the single seed of the original “defective” comment by the first person. Hopefully those doubtful questions on Islamic Banking should be directed to Islamic scholars, Islamic banking practitioners or relevant academicians with stature, knowledge and qualifications before the ummah believes and spread untruth that will, in the end, become a disservice to the religion of Islam by spreading “fitnah”. Granted, Islamic Banking is a 30 year old structure, with many building blocks are still in progress. But it has not stopped evolving to existing times as and when new regulations and Shariah decisions comes into discussion. It is not perfect yet, but practitioners are aware of the difficulties of meeting all the requirements without enhancements and considerations to practicality. There is a misguided assumption that academia are aware of all the shortfall of Islamic Banking practices and the industry had turned a blind eye to these. Nothing can be further than the truth. Islamic bankers, Shariah Committees and BNM are well aware of all of the issues raised by academia as well as other practitioners, with the benefit of global awareness as well. In truth, practitioners know more of the issues they faced on a day-to-day basis, as compared to academia where some of the issues had already been resolved by the industry but not made known to academia. Criticisms are always welcome, but ideally it should be constructive on how to improve. 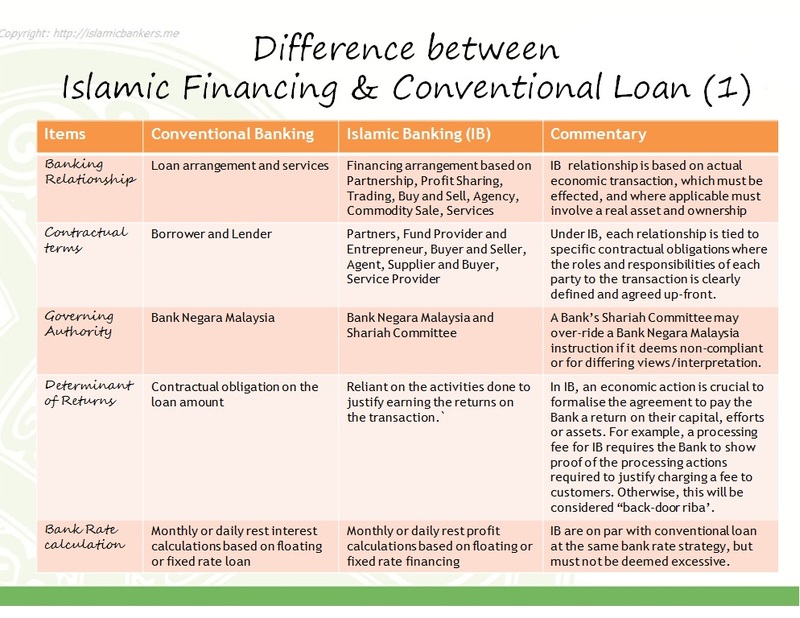 It is a heavy responsibility to ensure the differences between Islamic Banking (based on Shariah) and conventional banking (based on lending) are managed diligently. It is an on-going evolution that I am confident one day will reach its apex. Ideas are welcome and proposed solutions considered in earnest. And as I have always said to my product team; If you’re not part of the solution, then you are part of the problem. So, let’s be the solution that we had always wanted.